I grew up in Cape Town, South Africa, the son of a visionary architect and a brilliant musician/writer. We first lived on Surfers’ Corner in Muizenberg, where, in big storms, the waves crashed onto the front windows of our small cottage. My father taught me how to surf when I was about 5 and I’ve been surfing at Muizenberg ever since. I believe one’s first taste of real, daily, paid work has a huge impact on how you view the world of work for the rest of your life. That’s why it’s great to start with a tough one. My first job was delivering an early morning newspaper round before school – every weekday for about eight months. I was 13 and we then lived in Rondebosch, just below UCT on the side of a mountain. I loathed getting up early and still do. Besides slaving away as a builder’s lackey, the steep roads up to UCT ensured that newspaper round was the worst job I ever had. Besides teaching me massive respect for postmen in hilly areas, the drudgery of fighting gravity day in, day out, is the reason I hate wineries on different levels, designed by architects who never themselves have to run up and down every day. 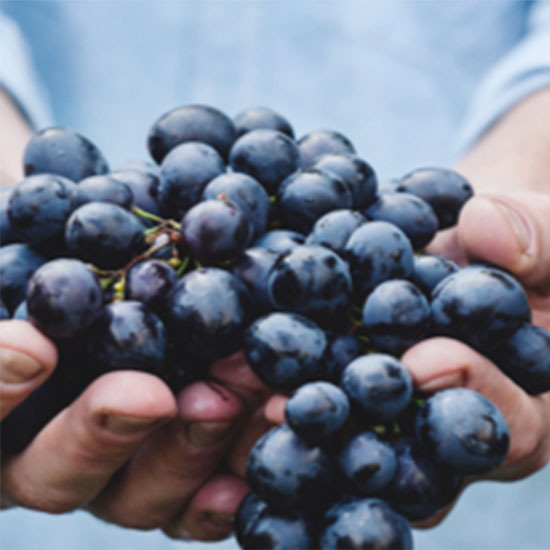 Wineries are essentially factories and people can spend their whole working lives in them – and its so easy to make them better, safer, lighter, more enjoyable. My first memorable food experience was tasting caviar on a Bishops Prep school rugby tour to the UK and loving the exotic texture and wild flavour. I have been intrigued by food – the textures and flavours, ever since. Every time I blend finished wines, I immediately consider how the resultant composite wine will pair with food. That’s why my wines, at every price point, are crafted with food in mind. The biggest advantage of growing up in Cape Town, however, was learning the secret password for getting past the Pearly Gates from Mrs Jimba, my isiXhosa teacher. I am surprised I didn’t need to use that password on numerous occasions during my young adult life – like many young men, I did a few stupid things like smuggle myself into Romania during the demonic reign of Nicolae Ceausescu – the foolhardiness of youth. An MLitt degree in English literature from St Andrew University, Scotland, preceded my first vintage work – toiling as a cellarhand in France. I soon knew I had to become a winemaker, so with my newly-wedded wife, Penelope, I headed to the famous Roseworthy agricultural campus, and a winemaking degree from the University of Adelaide. The Australian industry was buzzing in the early 1990s, with pioneering research, government support for vineyards, universities and marketing. I was very lucky to have been there then. Hard, but happy yards followed – vineyard and cellar work all over the world – France, Spain, Australia and the USA. Extraordinarily fired up, I returned home to South Africa in 1998 and simultaneously started a winery, a wine business and a family. Anyone who has done this will tell you it is ill-advised. The winery, Flagstone, was an early developer with, unusual for the time, a clean, ripe, fruit-forward, soft-tannin style and whacky ideas like wild yeast fermentations and sulphur-free wine. The first red wine I released was a 1999 Pinot Noir called BK5, bottled without filtration or the addition of sulphur. I am usually late for meetings, but in this case, I was twenty years early for the “natural wine” craze. Partly because we were doing such unorthodox and financially risky things, I was named Winemaker of the Year twice by two different organisations. In truth, I had learnt early on that having a good team around me was my only hope of survival, never mind success. The natural extension of a great team is collaboration with other winemakers and I became happily engulfed in various winemaking joint ventures, all which gave me enormous joy, such as The Berrio, Jack&Knox Winecraft, Bowwood, Fish Hoek, Mary le Bow and my first overseas collaboration, the Pan-Spanish winemaking adventure, La Bascula (which is still going strong with my partner Ed Adams MW). We sold Flagstone in 2008 to Constellation, then a big wine and spirits business in the USA, now also into beer and cannabis – how the world changes. My first taste of M&A was harrowing on some levels, but I also learnt that there are very few nasty people in the wine industry, and just because someone works in a huge multi-national doesn’t mean they aren’t a good citizen. And the principles of fair, honest business don’t change with the size of the deal. In fact, I’d argue, there’s more duplicitousness in the cut-throat chain of selling one cheap bottle of non-descript wine, than buying and selling significant value wine businesses. Throughout my winemaking career I have written – not only newsletters, etc, but for other publications. A highlight was being asked to write the Forward for The John Platter’s Wine Guide. For about two and a half years, I was really proud to have contributed monthly articles to ‘The South African’ newspaper in the UK, and later wrote a regular column in the quarterly national magazine, ‘Personal Finance’ in South Africa. I wrote the forward to various industry marketing publications for WOSA and jumped at writing any article on wine that was offered to me – including a cool piece on Pinotage for TONG magazine in Germany – a piece of writing that galvanized my love of that misunderstood variety, because I spent weeks trying to put into words what my heart already knew. These opportunities allowed me to look at the wine industry from a different perspective. I was forced to do research I wouldn’t have undertaken and talk to interesting, insightful people I wouldn’t have had the time to learn from otherwise. I have always been drawn to the internal cogs of industry – the engine that either drives a certain production business forward, or in some cases, fails to. The way the Australian industry organised themselves in the 1990s inspired me. As a result, I have got involved whenever asked. 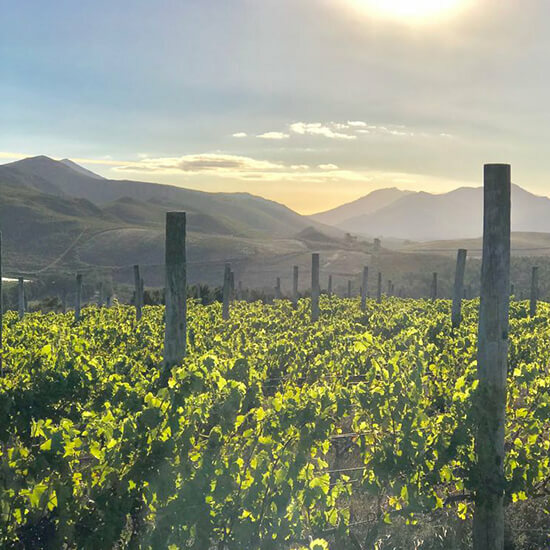 I have served on the board of WIETA (Wine Industry Ethical Trade Agreement) and under Su Birch, various sub-committees of WOSA (Wines of South Africa). Once Flagstone was sold, I was employed as Chief Winemaker for Constellation Brands South Africa, responsible for all wine brands, including Kumala, still the biggest SA export brand. We achieved some great things with that brand and overcame lots of challenges, internally and externally – what a great learning curve. And I was simultaneously fascinated and bemused by the corporate world. A learnt how important a culture of positivity is, and how easy it is to motivate and demotivate people. The bigger the organisation, the more critical this becomes. After Constellation sold off their New World wine interests, I eventually became Group Winemaker for the residue company, Accolade Wines, the 4th largest wine business in the world, with an output of around a case of wine every second. For a short time, I was asked to look after the style direction of all the company’s core brands. That was a great honour. I worked with some of the best winemakers and logistics managers in the world and it was intriguing to see how people reacted to the pressures and challenges of a dynamic global market. 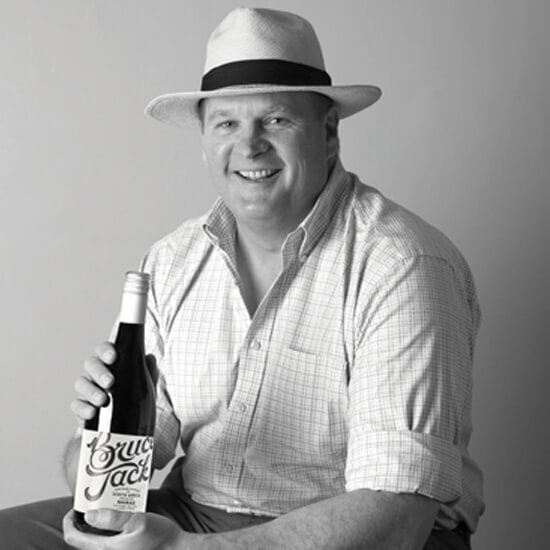 I resigned from Accolade on the 1st February 2018 to focus on my family wine estate in the Overberg Highlands called “The Drift Estate” and start a new global wine brand called “Bruce Jack”. With Paul Cluver, I also co-own a very special, small scale craft cider brand in South Africa called “Cluver&Jack” and with Anthony Tindal in Ireland, am involved in an Irish craft cider called “Orpens”. My love of cider stems from my great grandfather, James Mitchell, who was one of the first to import cider apple varieties into South Africa and make cider. In 2017 I established the charitable trust, The Headstart Trust, in memory of my musician mother, Elspeth Jack. Our aim is to carry on the work she started, by uplifting impoverished, rural communities in South Africa through supporting school education and building and running specialist music schools in those areas. A percentage of all Bruce Jack Wines profits goes to this Trust and consumers can also become involved. We have just finished insulating a “place of safety” for young mothers attached to the local Napier nursery school (thanks to the funds donated by Solly Kramer of Norman Goodfellows in Gauteng). Our next immediate project is to buy a piano and other instruments for the new music school. The late Elspeth Jack first moved from Cape Town to the Napier district twenty years ago. Elspeth’s keen interest in the local community and her desire to stimulate social upliftment left an indelible mark on her son Bruce, who continues her work through the Headstart Trust.